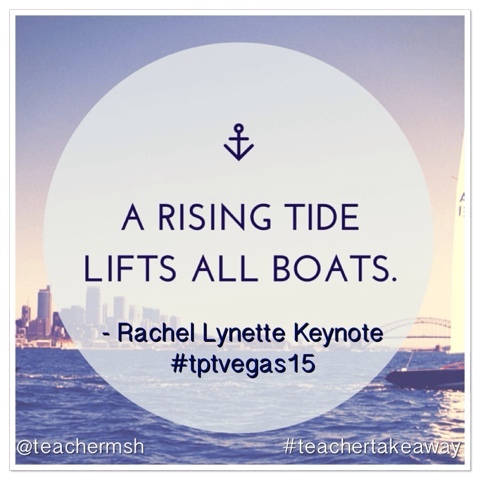 Sharing some pics and my top takeaways from the Teachers Pay Teachers 2015 Conference in Vegas this summer. Thanks to the Elementary Entourage for hosting this wonderful link party so we can see what other attendees and bloggers are sharing. This is perfect because this year's theme was Come Together, Go Further. 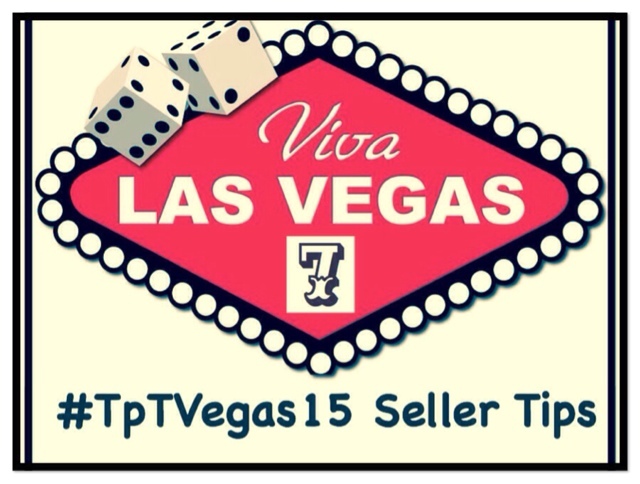 Since 7 is a lucky number in Vegas I thought I would share 7 tips I picked up from 7 sellers. I got the chance to meet Chris Kesler from Kesler Science. His big tip for social media was don't try to tackle all types at once. Learn about one and get good at it before going on to the next. Check his website TpTSchool.com for more tips on becoming a successful TpT seller. 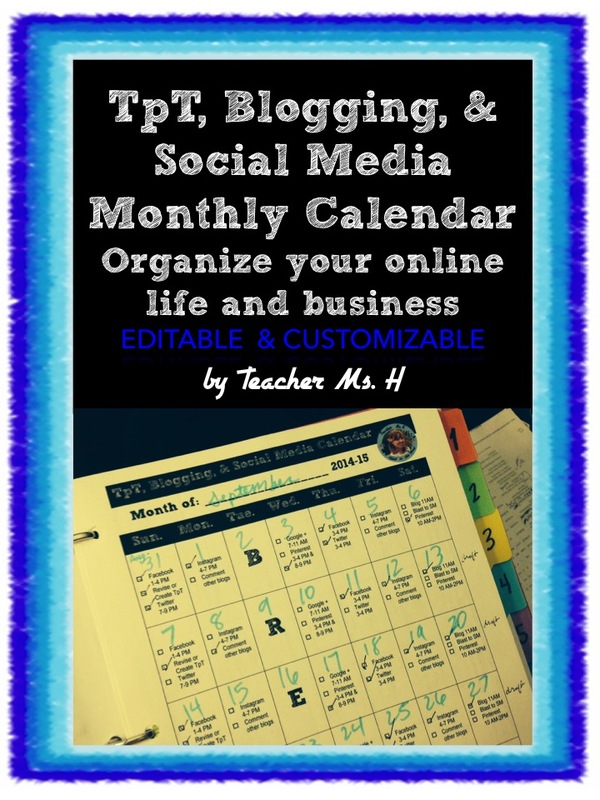 Tabitha Carro from FlapJack who has awesome You Tubes videos on top TpT products, shared tips for using apps to help with all things TpT. One of my favorite apps I already use is Phonto, available on iOS, because it has so many wonderful fonts to choose from that you can use to overlay on pictures. I use this app on my iPhone to get pics ready for my Instagram. Well what I didn't know, until her session was that you can also add your own fonts from your computer to the app as well, so you can always have your favorite fonts handy! Deanna Jump, Teachers Pay Teachers first millionaire and educator extraordinaire presented alongside her friend Dee Dee Wills who also co-authors many products with her. I learned about a free website called wordmarkit.com which helps you quickly find the font you need on your computer and with it's preview feature decide if the text you have put in looks the way you want it to. I'm so happy to have a better way to get to my fonts! I went to a session by Jivey who is known for her mentor sentences and reading graphic organizers that I use in my own classroom. She recommended aligning products to the CCSS Anchor Standards because they span across all grade levels. What is great about this tip, is that you don't really need to align products to a specific grade level standard, especially when the product might be used across multiple grades. I also attended Erin Cobb from Lovin' Lit's session called Teacher to Teacherpreneur and her tip was to make products that are helpful to you and your classroom, that no one else would have time to make. Best ideas come from your students needs. Kristin from a Teeny Tiny Teacher had us all laughing because of this story she mentioned when making her point that when blogging you shouldn't be afraid to write about your classroom failures or funny things that happen. People connect to you better when they know you are human too. I also enjoyed meeting other bloggers that I follow and collaborate with online including Farley the creator of the famous Monthly Currently, Jenny K, Kelly from An Apple for the Teacher and Jen from Out of this World Literacy. 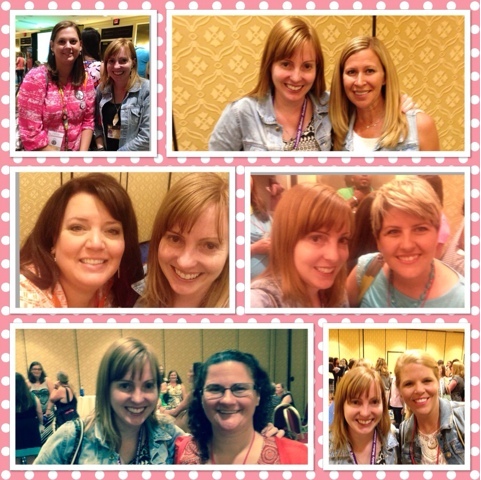 I met so many more wonderful TpT sellers and have more pics but don't want this post to be too long so check out my Instagram or Facebook for more. Rachel Lynette from Minds in Bloom was this year's Keynote speaker. I met her at last year's conference and was excited to talk to her again this year. 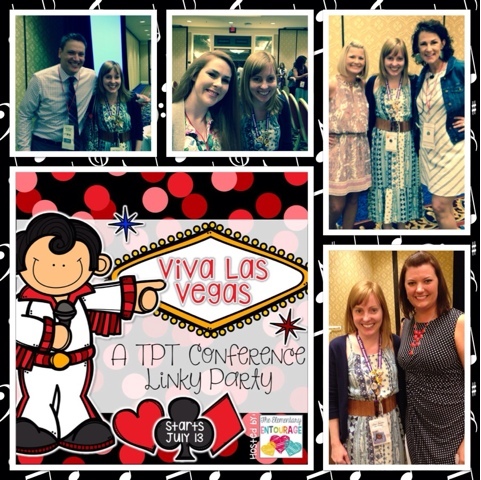 She is one of the most down to earth people you will ever meet and is more than happy to share tips that have helped her along her TpT journey. She shared the quote above from President John F. Kennedy and talked about the importance of collaboration and making quality products in her speech. She also credited Laura Candler, her mentor, for helping her become successful. She is the author of Teaching Resources and Classroom Connections. 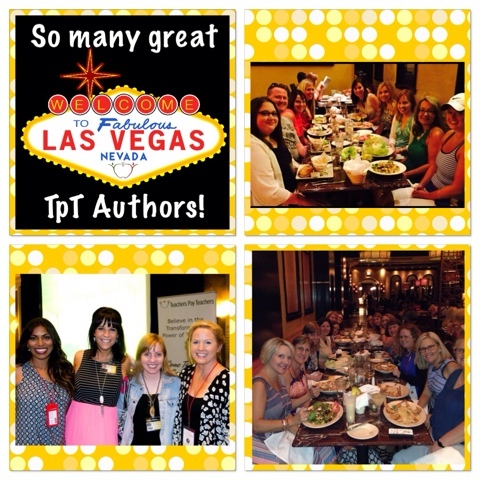 (To see pics from my visit to last year's #TpTVegas14 conference you can click here.) These are some pics from this year that I've been tagged in on Social Media. Can you figure out who is who? If you didn't win in Vegas or didn't go this year, here is you chance to win a little something. 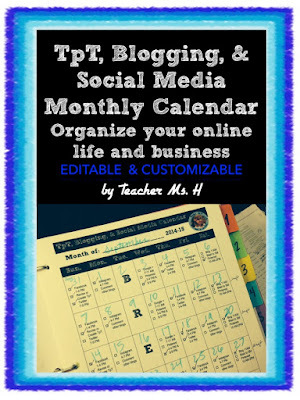 All you have to do is follow my blog and enter the Rafflecopter at the bottom of this post to win a $10 Gift Card for TpT! The winner of the Rafflecopter is Michelle M. An email has been sent with the $10 TpT gift card. Thank you to all that participated!